IATSE Women’s Committee: Spread the Word! The IATSE Women's Committee is working with the Coalition of Labor Union Women (CLUW) to facilitate their campaign to provide meaningful health information pertinent to women. They have partnered with HealthyWomen on a campaign called "Spread the Word". 1. 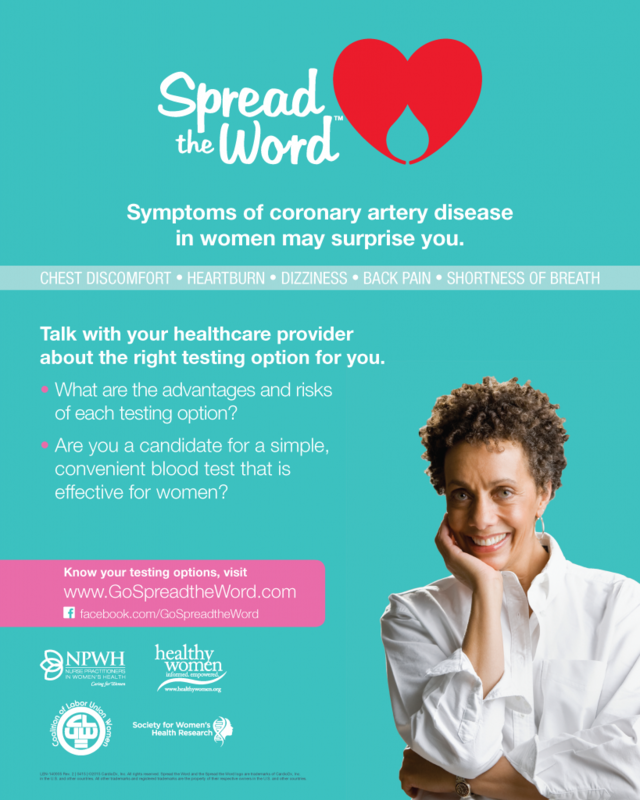 Share the "Heart Health" flyer, available on the GoSpreadTheWord website. 2. Take part in CLUW's survey https://www.surveymonkey.com/r/cluw-survey. The survey results will be used to implement an action plan. HealthyWomen will be holding a drawing for a $100 gift card that every woman completing the survey can enter to win. I hope you will take the time to "Spread the Word" throughout your Locals and to participate in the survey so the sentiments of IATSE women will be considered in the action plan.